Hanoi (VNA) – Myanmar’s government has said it evacuated at least 4,000 non-Muslim people from the northern state of Rakhine amid ongoing violence in the area. According to the government, the death toll from violence that recently erupted between the government’s military and Rohingya insurgents has climbed to 98 people, including 80 militants and 12 members of security forces. The clashes forced thousands of Rohingya people, mostly women and children, to flee to Bangladesh. Statistics from Rohingya refugee camps in Bangladesh showed about 2,000 people crossed into Bangladesh since August 25. 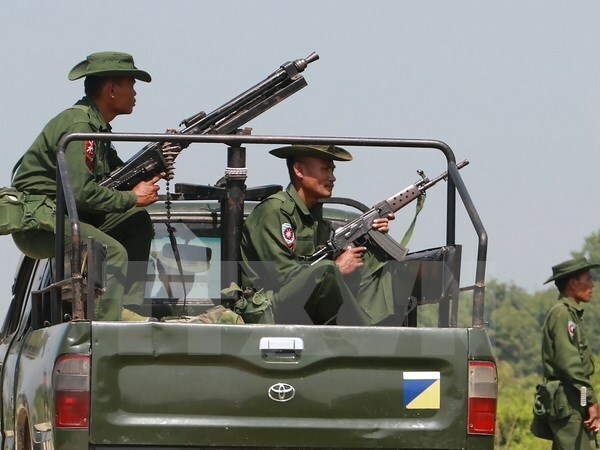 Previously, at least five policemen were killed in an attack by insurgents on 24 police posts and a military outpost on August 24 in Rakhine. The event marked an escalation of the violence that has simmered in Rakhine since October 2016, when similar attacks killed nine policemen.